​Yea, that''ll probably do the trick. 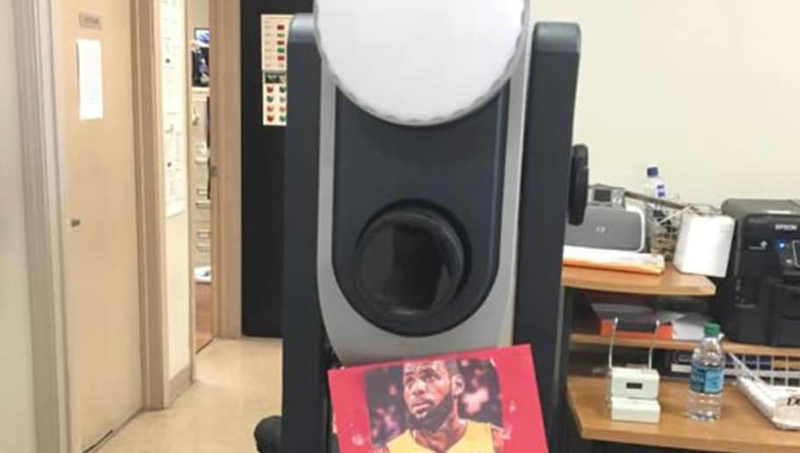 A Cleveland DMV needed a way to keep the drivers from smiling when taking the picture for their driver's license. So they found something that makes just about every Cleveland resident pretty unhappy. A picture of LeBron in a Lakers jersey. Seeing the visual of ​LeBron James in the purple and gold has to really sting for a Clevelander. It was bad enough to see King James rocking the Lakers shorts at Summer League, but donning the jersey is even worse. Between all of the head cases on this Los Angeles Lakers squad, the constant​​ drama that surrounds LeBron James, and of course LaVar Ball, it should be an entertaining season out west. But regardless of what is happening in SoCal, you could be sure that Cleveland fans will not be smiling when they see LeBron in a Lakers jersey.